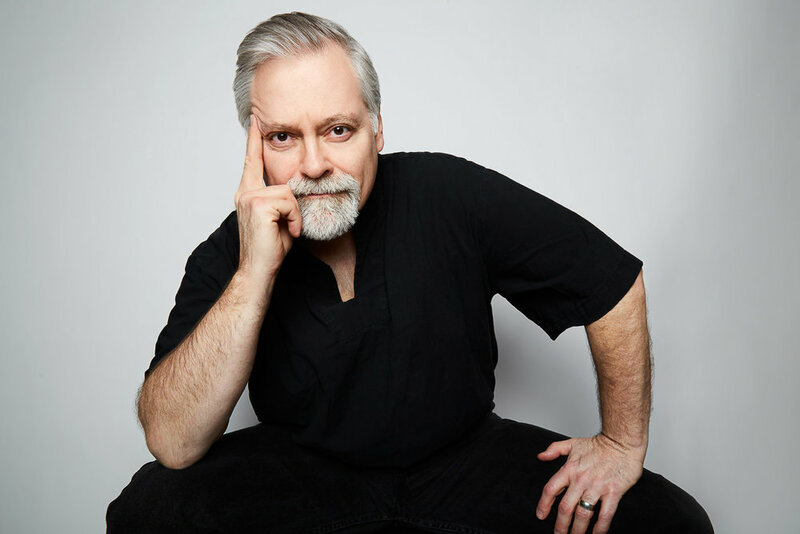 Daron Hagen does it all: he is a composer, dramaturge, director, teacher, and mentor. He is one of those artists who speaks truth to power, and audiences delight in the results. 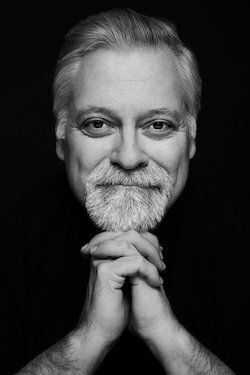 I am thrilled that Daron was willing to talk to me about three of his exciting projects currently in development: Orson Rehearsed, 9/10, and The Deputy. You’ve got a very exciting project underway called Orson Rehearsed, due to premiere in September 2018. From what I’ve read, you have a deep, almost personal connection to Orson Welles. What is it about Welles that you connect with so profoundly? I admire the mature, intelligent, sophisticated ferocity with which Welles confronted the intersection between Life and Art. I admire the character he displayed in his public calls for social justice, the ebullience of his manifold creative gifts—a true American Polymath—and the searing lifelong ache of a man who had made what is arguably the finest film ever made at the very start of a long career. I am moved by the man’s lifelong struggle as an artist to get his work paid for. He understood the ultimately unforgivable damage that an enfant terrible wreaks on those about him. Orson Rehearsed “examines in a non-linear narrative the American Story by limning the memories and half-remembered dreams of actor, director, writer, and painter Orson Welles during the last few moments of his life.” Tell us a bit about how Orson Rehearsed is organized as an operatic work: are there acts? Are there arias? Is there spoken dialogue? In short, what can audiences expect when they go to see it? Likening the dramaturgy to the dealing of cards in a magic trick, each character in an iteration of the piece (it can vary from none to six, plus chorus) is dealt one solo aria; opening and closing ensembles for everyone are pre-dealt. Everything else unfolds from decisions made on the fly, in performance. The work can last as few as 60 and as long as 240 minutes, depending on how many impromptu cards are dealt between the pre-dealt cards. If one does the math, then—assuming an aria or ensemble lasts from between 3-5 minutes—that percentage of the total duration of that iteration is predetermined. The work has everything in it, including spoken language—electro-acoustic soundscapes, instrumentalists singing, everyone creating non-verbal vocalizations, improvisations based on pre-determined “rules of engagement” that vary from one “card” to the next. I look forward to seeing an iteration of the work down the road with which I have nothing to do except show up. Putting this vehicle into the hands of another director will be very, very interesting and… fun. I read the following about Orson Rehearsed: it is “an accordion-shaped opera whose cast and scale can be as elaborate or as small as each producer wishes, and which may be performed in any space.” How is such a thing possible? Such a thing is possible because the central conceit of the work allows for radical and wide-ranging reinterpretation from one iteration to the next. Technology enables me to retool it from a version for six singers, pre-recorded soundscapes, and Fifth House Ensemble to full orchestra, chorus and six principals in a little over a week. Each soundscape exists outside of the standard notational grid, but a Sibelius file exists that can underlie it for coordinated performance, if desired in the iteration at hand. Once the New Mercury Collective or Fifth House Ensemble have the work in hand, they will be able to reinterpret the work with whatever forces are available for each venue and / or audience by simply telling me the new instrumentation. At a certain point, Fifth House, for example, won’t even need to involve me, as their familiarity with the underlying soundscapes will be so intimate that they creative ownership will be complete—the way that a long-run cast of a commercial play develops ownership of their roles. I look forward to seeing an iteration of the work down the road with which I have nothing to do except show up. Putting this vehicle into the hands of another director will be very, very interesting and… fun. Another project currently in development is a new opera called The Deputy. Rolf Hochhuth’s controversial play of the same name shows Pope Pius XII as being indifferent to the extermination of the Jewish people during the Holocaust. Your description of the project reads, “our plan is to overlay an adaptation of Mr. Rolf Hochhuth’s trenchant, searing play over a celebration of the Mass” – a provocative idea indeed! Why did you choose this story? Why does the opera take place “‘over’ and ‘between'” the Mass? …the Bible is filled with parables because people don’t like being preached to, that, if I had a message I wanted to deliver, telling a good story would cut deeper and hit harder. Why did I choose Hochhuth’s play? In truth, I didn’t. My co-librettist Barbara Grecki did. We had just successfully mounted the premiere of our opera about human trafficking – A Woman in Morocco – at Kentucky Opera and were casting about for a new project. I immediately saw the potential for couching the play—the cast of which consists, as might be expected, mainly of males—as a series of tropes, with the idea of it unfolding at the Vatican “in and out of chronological time” during a performance by a mixed chorus (there are my female voices) there for a Mass. This gives the play a new formal structure which embodies the fundamental ironic juxtaposition of the liturgy and the critique of its execution in human terms by its celebrants. The piece will be performable in churches, of course, where its arguments will be amplified by the surroundings, but also it will be suitable for opera houses as a fully-staged work, and as a cantata with orchestra in concert halls. I am motivated by wanting to reach as many people as possible: flexibility is therefore key nowadays if one wants a piece to get legs. Flexibility is therefore key nowadays if one wants a piece to get legs. 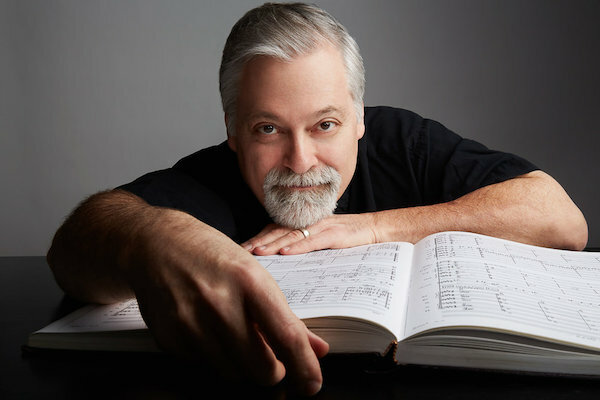 About your upcoming work 9/10, you write, “I believe that this project represents the culmination of my three decades of development as an opera composer.” Wow! In what way is this work a culmination of your three decades as an opera composer? 9/10 is an opera in which three brothers and their significant others have dinner together in an Italian Restaurant in Little Italy the night before they are all killed in the Twin Towers. The musical score is all pre-recorded (or maybe there’s a pianist in the restaurant, who knows? Or an accordionist…) and the characters simply dine. Think My Dinner With Andre with the audience seated at tables surrounding the six characters, having their dinner as the opera unfolds in their midst. Each character gets an aria, which is initiated by him or her putting a quarter in a jukebox. The first performance will take place at the Chicago College of Performing Arts in September 2019. It represents a culmination of my work to date for me because it is predicated upon the cherophobia with which I’ve struggled all my life. It is a marriage of the quotidian and the sublime, and finds poetry in the simple efforts of six people trying to connect. Thus far, what has been the most challenging project you have undertaken as a composer? Making the transition from being a composer who writes operas and libretti, occasionally conducts them, and so forth, to a so-called “auteur” composer-director along the lines of Menotti, wasn’t difficult, but allowing myself the privilege of making the transition was really, really hard. 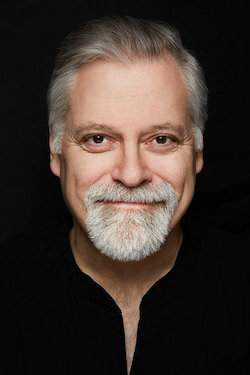 David Roth at Kentucky Opera was the first company General Director to engage me as a director of my own work. I miss him, and remain grateful to him. Although I’m very keen to collaborate with others in any inspiring capacity, I’m most engaged right now by the challenge of combining all the skills in my workshop as a composer-director. Henry Fogel and Linda Berna at the Chicago College of Performing Arts at Roosevelt University in Chicago have engaged me to develop five new operas over the next five years there, with the understanding only that I will endeavor to serve as a mentor and resource not just to the opera conservatory as an opera composer and director, but to the theater conservatory as a dramaturge and coach, the music theater conservatory as an expert in inter-disciplinary musico-dramatic works, and the music conservatory as a composer. They’ve brought me “back to school” and I love the challenge. In addition to opera, you compose choral, symphonic, and chamber music. Does your process of composing change depending on the type of music you write? Not in the slightest. I hear music all the time. It’s a stream. I stand beside the stream and dip into it. So long as I treat it with respect, it does not drown me. What can artists involved in opera do to keep opera relevant and thriving in the 21st century? For me, at least, “opera” simply means “work.” The rest we make up as we go along. Fighting about how one defines “opera” or “reinvents” it is a waste of precious energy and misses the point. Just make opera. If you connect with the audience, then you’ve succeeded in redefining and enlivening the process itself. What do you wish there was more of in the world of opera? The marriage of emotion, physicality, and intelligence in the ritual re-creation of the urschrei, the ritual re-enactment of telling ghost stories around a campfire by people who measured the seasons by the movement of the stars in order to grapple with life’s conundrums and the horror of what lies outside the circle of light. We are the light. That touches my soul.